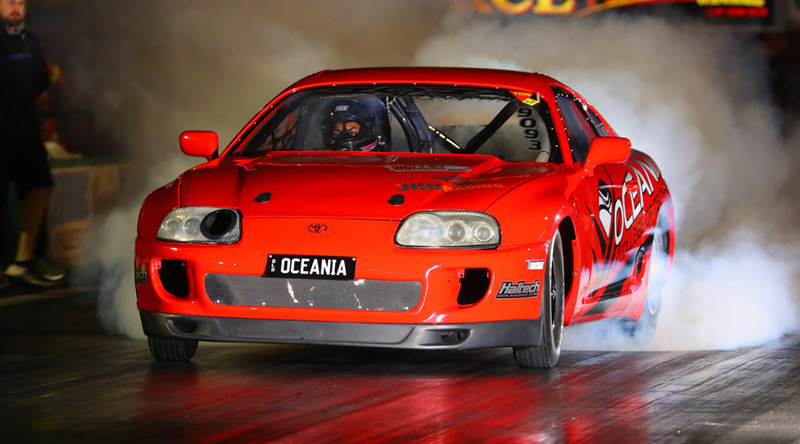 The Oceania College/101 Motorsport Toyota Supra driven by Varun Sharma has run into the six second zone and 200+mph competing in the 275 radial class at the Brisbane Jamboree. The car is powered by a 3.3L 2JZ billet engine. Given the guys have another 500hp to throw at this car it will be interesting to see how quick the Supra can run with more track time.